Highly specialized in office agency and client representation services, Horatiu Florescu has a wide breadth of property experience, gained in his 20 years’ career by advising the main developers as well as the most prominent multinational companies operating in Romania. 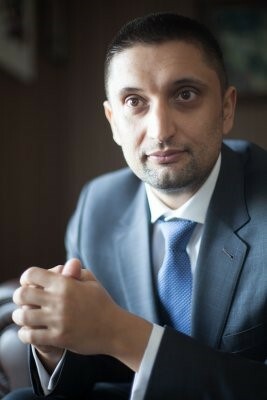 Regarded as the most experienced and successful consultant on the local market, Horatiu is reputed for his cutting edge and professional consultancy services to tenants, developers and investors alike. He brings a wealth of expertise and knowledge to any real estate project. In 2016 the company led by him had the biggest profit among all real-estate agencies in Romania, which showcasts the strong name developed by Knight Frank locally, under Horatiu’s leadership, in only a few years. It was also the biggest turnover from the history of Knight Frank in Romania and the second in the top of Romanian real-estate agencies. It is a noteworthy performance especially that the Knight Frank turnover comes exclusively from real-estate brokerage and consultancy services, no other services like project management or other divisions. Prior to setting up the Romanian associated office of Knight Frank in 2009, Horatiu was Vice President of Colliers International Romania. Horatiu, was named Most Successful Broker on Romania’s market several times, is involved with several NGOs in Romania and is a member of the Aspen Institute.